For years marketing experts have been harping on the importance of going from merely an acceptable to an ideal customer experience. 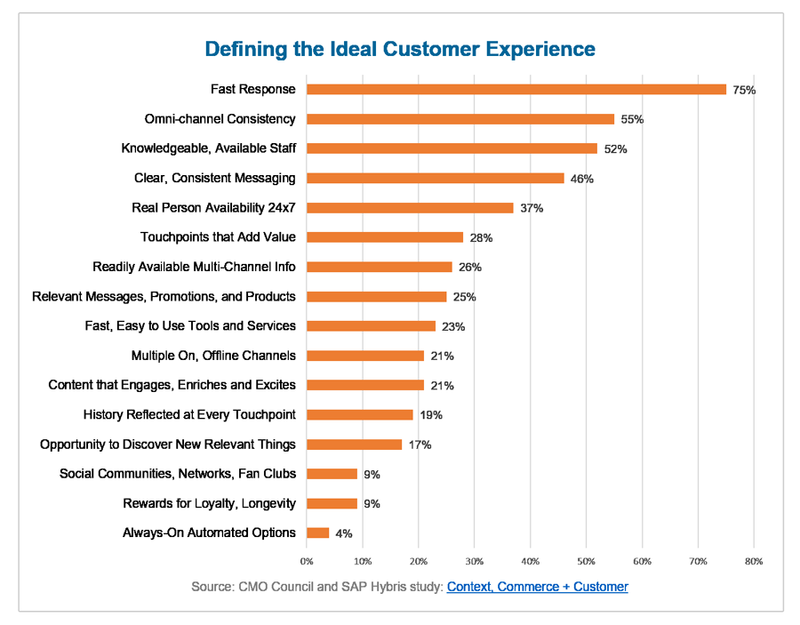 Here’s what an ideal customer experience looks like. Marketing experts have been imploring business owners to improve the customer experience for years. In a crowded marketplace, in particular, an ideal customer experience might be the only way for an organization to successfully differentiate itself from the competition. 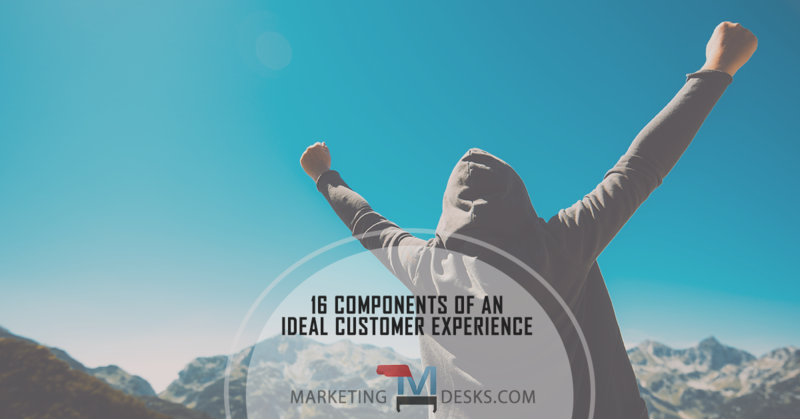 In addition to putting yourself in the customer’s shoes and evaluating every customer touchpoint, you can also evaluate your business against these sixteen factors judged by more than 170 senior marketing leaders as those most important in creating an ideal customer experience. Often it’s not a problem, concern or question that brings on negative customer perceptions – it’s the lag time. Fast response time breeds trust and positive perceptions; it was far and away the factor judged as most important in the study. No matter where the customer interacts with your brand or one of its representatives, the experience should “feel” the same. In an ideal customer experience, the customer can interact with the brand on the channels the channels they prefer and each will perform like a seamless extension of the brand. Your prospects and buyers want to be able to self-serve – until they don’t. At the point in time where they need clarification, options or offers, they want to be able to get in touch with someone who has the answers, using the channel they prefer. The last thing you want is marketing or advertising verbiage that seems to tell two different stories. The more time you spend refining, testing, and improving your messaging, the more you will be able to communicate effectively and persuasively across all marketing channels. Regardless of your industry or business model, at some point even in the most self-service-friendly buying journeys someone will want to ask questions, voice concerns or lodge a complaint. 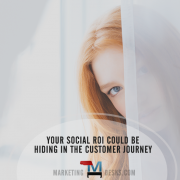 Ensuring that a “real person” is available to engage prospects and customers when needed can shorten the buying journey or prevent a negative experience. 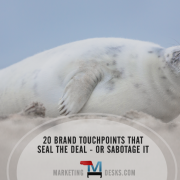 Each of these touch points represents an opportunity for a brand to add value, show up in online search, differentiate itself from competitors, and communicate with prospects and customers effectively in order to win new sales. Today’s consumers can interact with brands in any number of ways. They expect to be able to access the information they’re looking for, reach out to representatives and complete transactions day or night – at the time most convenient for them. An ideal customer experience makes it possible for prospects and clients to interact with brands on their terms and time lines. In an ideal customer experience, the prospect won’t have to sift through a lot of information or options that don’t pertain to them. Communications, offers, promotions, and any number of brand interactions can be personalized, and increasingly so as the brand “learns” more about the prospect or customer based on their behavior over time. “If you build it they will come” but only if you build it everywhere your prospect is likely to look for you. The easier you make it for people to engage with your brand on any channel they prefer, the more trust they will have in your brand’s reliability, consistency and success. Sometimes you want to go where everybody knows your name! Big data isn’t just for big brands. Consumers and business-to-business (B2B) buyers increasingly expect that a brand or its representatives will “remember” them and their preferences and buying history, regardless of the channel where the next engagement occurs. 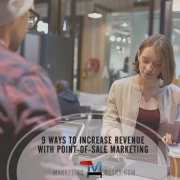 Based on a prospects behavior with your brand’s channels online or off, as well as your customers’ buying histories, it’s possible to tailor offers and even predict future behavior. Brands can increase customer confidence as well as sales by helping customers find the right things to buy, at the right time. Many brands put all of their rewards and best offers into customer acquisition, sometimes failing to recognize customer loyalty altogether. Brands that want long-term customers create marketing strategies with a long term view by including rewards and customer recognition tactics. An ideal customer experience often generates an inherent desire to belong, were buyers become “fans,” not just customers of the brand. When customers participate as part of an “insiders” club, earn personalized rewards, or engage in some other type of brand community, they are much more likely to feel proud of doing business with the company. 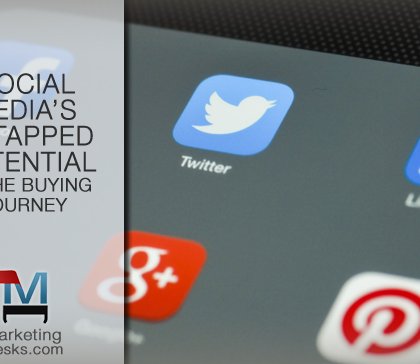 It can organically enhance loyalty and retention efforts and generate immense word of mouth marketing. Brands that have the equivalent of Amazon’s Dash button make it possible for customers to connect with their brand 24 hours a day, 7 days a week, 365 days a year. Technology-designed-right can prevent buyer frustration and ensure they get connected with the right person, department, solution, service or product as quickly and efficiently as possible.